Hair Brush Types: Which One is Right for You? We Compared Hair Brush Types. Here’s the Skinny to Save You Time. First published February 3, 2017 , last updated April 8, 2019 . Reading time: 6 minutes. In order to get the perfect hair, you will need to buy the perfect hair brush. But with so many sizes and shapes, how can you be sure that you will buy the perfect brush for your hair type? 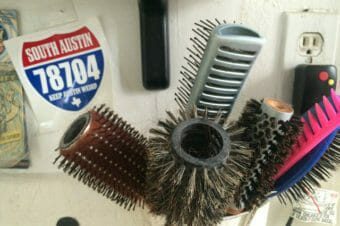 This feature compares several hair brush types for all types of hair. Keep reading to find your ideal hair brush match. Note: we’ve written before about why you should NEVER buy a boars brush. Click here to read the article. We are taught not to brush our hair while wet, so the name of this brush was kind of confusing to me. But once I brushed through my hair from the roots to the tips, the name was no longer confusing. The best brush specifically designed for wet hair that detangles your knots with ease regardless of your hair type. 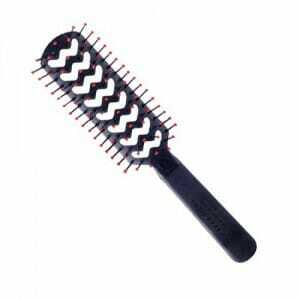 The bristles of this brush are super thin, flexible and strong and are combing out tangles in your hair effortlessly. Detangling is pain-free due to the flexibility of the bristles; the bristles are so soft they even massage the scalp and stimulate circulation. The Wet Brush glides through the nappy bird nests. It’s the best of both worlds – it’s firm enough for combing through knots and flexible enough to gently massage the scalp. The handle is rubberized, so it’s soft to the touch. Almost 80% of people who bought this hair brush and reviewed it on Amazon have given it 5 stars. The total rating is 4.5 out of 5 stars. Click here to check if the price has been lowered from $20. Hair maintenance is difficult, but luckily it doesn’t require visiting expensive salons, especially if you have the Conair Velvet Touch brush in your hairbrushes collection. It detangles and styles your hair. The bristles are ball tipped so they are not snagging or pulling the hair. It’s perfect for wet or dry hair and can be used for everyday brushing. 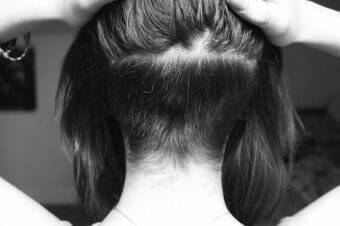 The flat wide head styles the hair, regardless of the type. The flexible cushion base is great for stress-free brushing and the handle is soft to touch for a more comfortable hold. As far as everyday brushing and detangling, this will be the only brush you will be using. The total Amazon rating is 4.4 out of 5 stars where 70% of all customers who bought the Conair Velvet Touch brush have given it 5 stars. You can get this brush as an add-on item. View it now. And now it’s time for a hair brush that looks both cute and fabulous. The Tangle Teezer Compact Styler hair brush is an innovative hair brush loved by many celebrities. It’s a great workout for your hair and excellent for both dry and wet hair. The uniquely designed teeth flick and flex as they glide through your hair, so you don’t have to worry about any hair damage, splitting or breakage. With patented Tangle Teezer technology, this hair brush adds shine to your hair and reboots your style in a few seconds. It’s great for all types of hair, including fragile hair, weaves, extensions and tangle-prone hair. The cover protects the teeth from damage and dirt. Amazon customers love this hair brush; click here to check the reviews. They are ravin’! If you’re looking for a vented brush, this Cricket Static Free Fast Flo is the brush you need. It’s specifically designed for more comfortable styling and the best thing about this hair brush is that it’s 100% static free, so you can forget about your hair flying away. The vents speed up your brushing time because the heat from the hair dryer can reach every strand from every angle. So, you’re spending less time drying your hair, and therefore preventing heat damage thanks to this vented brush. 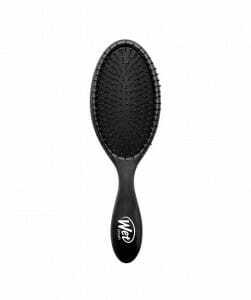 This brush also provides non-slip grips and stay-put tips for maximum comfort and control. The total rating on Amazon is 4.6 out of 5 stars and more than 80% of the customers who bought this hair brush have given it 5 stars. That’s impressive. Click here to see how much it costs. 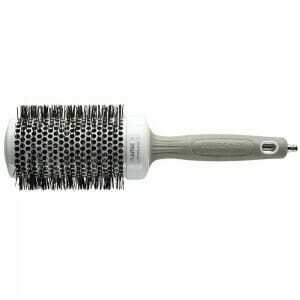 If you want little more volume in your updos, this is the best teasing brush with gentle boar bristles. This will be your secret weapon for nailing your updos because the handle will pick up your hair section like no other brush and the bristles will tease to add extra volume. 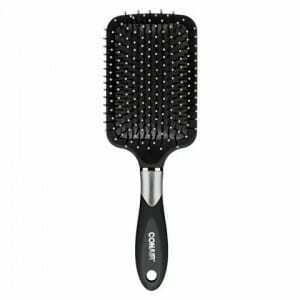 The integration of boar bristles creates an amazing brush platform for grabbing the hair effortlessly and gently. This Little Wonder here works like magic; with only a few back combs, you will have a killer volume. It also smoothes your hair while adding a little oomph to your look. It’s very easy to use and creates a hairstyle with extra volume. It has a rating of 4.3 out of 5 stars on Amazon where about 70% of customers who bought this brush have given it 5 stars. Click here to check if this brush is on stock. Olivia Garden Ceramic and Ion Thermal Brush cuts your drying time down and makes your hair beautiful and voluminous. It perfectly complements your hair dryer, and moreover, you can now enjoy many hairstyles and flaunt luscious curls. An amazing styling tool that helps you detangle dry or wet hair, the Olivia Garden Ceramic and Ion Thermal brush will remove any knots and de-frizz them. The Ion charged material design protects your hair and makes your hair shiny and smooth. Check out the reviews to see what’s the one thing that people dislike about this brush. There you go, our top 6 hair brush types and hair brushes. If you’re anything like me and have been using vented brushes all your life, you’re gonna fall in love with my favorite tool from this list – the Cricket Static Free Fast Flo hair brush. 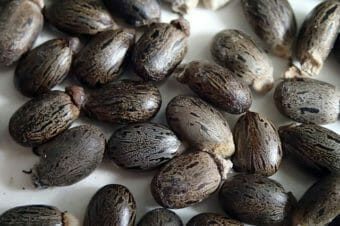 Have you thought about making your own shampoo? Come here and we’ll tell you how!